Warner Edwards Botanical Garden Melissa Gin is a popular Gin available from 31dover.com in 70cl to buy online. Visit 31dover.com for the best price for 70cl of Warner Edwards Botanical Garden Melissa Gin or compare prices on our other Gin products. Melissa' Lemon Balm Gin is the first creation within the Botanical Garden range from Warner Edwards. Made with Lemon Balm, a member of the mint family, also known by its Latin name Melissa officinalis. This is the first in a limited edition range of gins produced using various herbaceous plants from the Botanical Garden. Fresh and herbaceaous on the palate with lovely citrus and frsh mint flavours. Where to buy Warner Edwards Botanical Garden Melissa Gin ? Warner Edwards Botanical Garden Melissa Gin Supermarkets & Stockists. 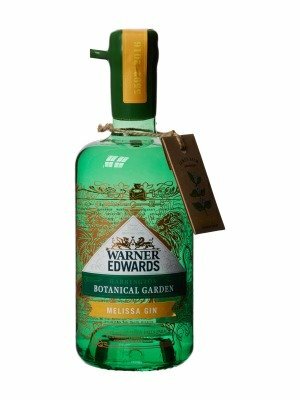 You can buy Warner Edwards Botanical Garden Melissa Gin online in most retailers and find it in the Gin aisle in supermarkets but we found the best deals online for Warner Edwards Botanical Garden Melissa Gin in 31dover.com, DrinkSupermarket.com, Amazon.co.uk, TheDrinkShop, and others. Compare the current price of Warner Edwards Botanical Garden Melissa Gin in 70cl size in the table of offers below. Simply click on the button to order Warner Edwards Botanical Garden Melissa Gin online now.